Mario has finally made the jump to mobile phones. Unfortunately, it’s not a very graceful leap into mobile. This game had such potential, but they had to ruin it with a 10 dollar paywall. Now, I get that Nintendo is a big video game company and all, but if this game had advertisements, then we wouldn’t need the paywall. 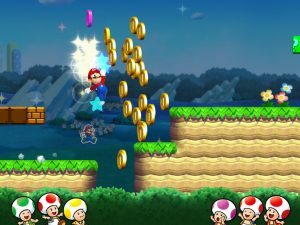 In Super Mario Run, Mario runs to the left automatically. 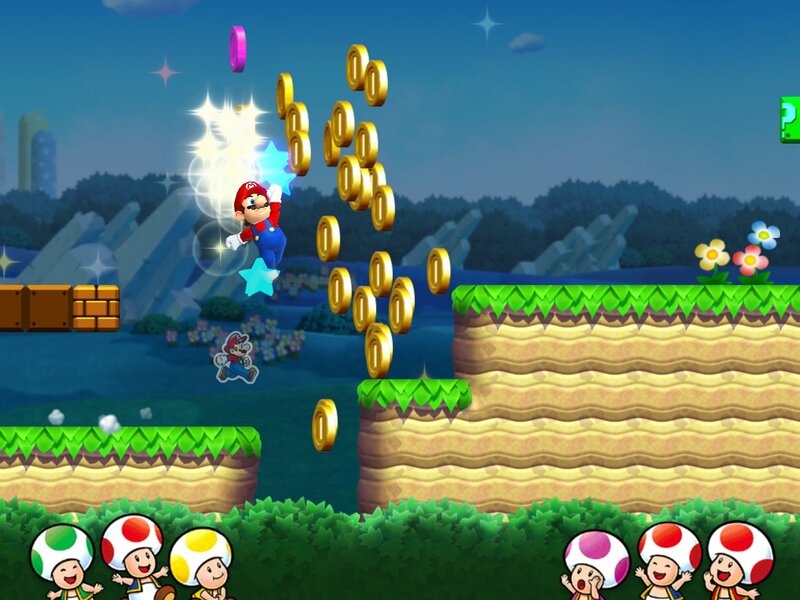 Tapping on the screen makes Mario jump. The longer you hold the tap, the higher Mario jumps. He can also vault over small obstacles and enemies, perform wall jumps, and edge jumps. The game plays really well, I have to admit. There are two game modes. Tour and Toad Rally. Tour is the main game. 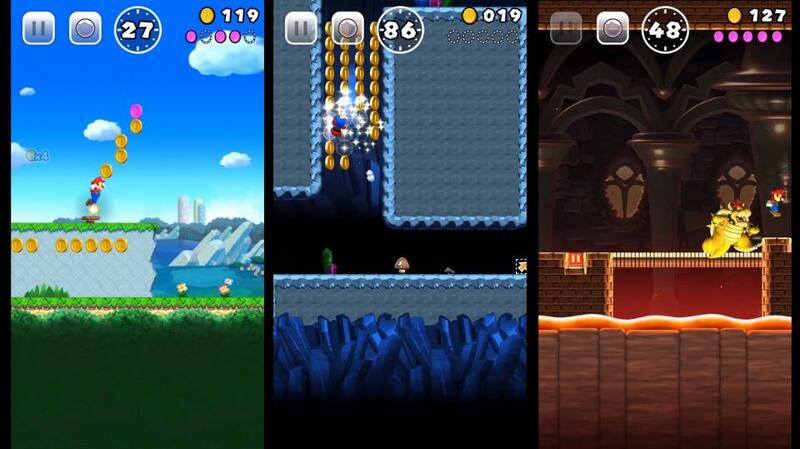 While on a quest to save Peach, you can also find 5 color coins of increasing difficulty. I would have loved to give you more insight on the levels, but then there’s the paywall. Without the purchase, you can only play worlds 1-1 to 1-3. You have to pay 10 dollars to play 1-4 and the rest of the game. Only 3 levels for free? Well, time to find a new princess. 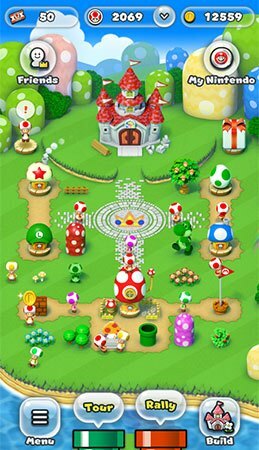 The other game mode is Toad Rally, where you compete with another player to earn more coins and gain the praise of Toads to get them to come to your kingdom. This game mode is a little too difficult and harsh. Enough said. Like one of those Facebook town maker games, Super Mario Run lets you build your very own kingdom. Sure, it lets you unlock different characters, but you need a certain amount of different colored toads in order to get them, and I didn’t have the patience to figure it out because you need to win Toad Rallies without losing to gain toads. While Super Mario Run isn’t really a bad game, it’s just a major disappointment. Well folks, thank you so much for another great year of blogs. I would like to thank all of my dedicated fans who read and support my blog. You all have changed my life for the better. Here’s to another year of blogging. This is my last blog for this year for a holiday break. So Happy Holidays to all and see you all later in 2017. Baby Pokemon in Pokemon GO!